Click the button below to add the 1968 69 70 71 72 73 74 75 76-77 Chevy Chevelle 4 Row Aluminum Radiator to your wish list. 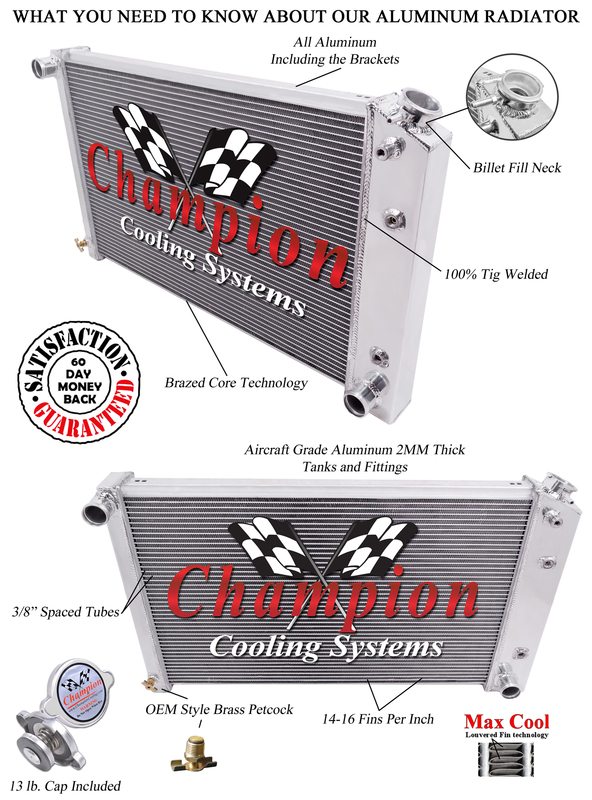 This is a 4 Row Core All Aluminum Radiator. 4 Row Tank Thickness: 3 1/8"
Will Cool Up To 950+hp!